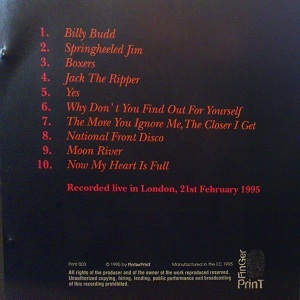 Claims to be "Recorded live in London, 21st February 1995". 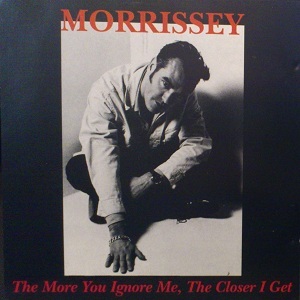 However, on that date Morrissey actually played in Bristol, England. The tracks listed on the bootleg were played at this show but in a different order than presented. The songs were also played later in the week in London (24 February and 26 February). On these dates, the songs were played in the order listed on the CD. This page was last modified on 11 October 2012, at 07:09.